It takes effort to be successful with an online real estate auction. The property has to be prepared, pictures taken, open previews coordinated and lots of advertising. The goal is to get a lot of people interested in a short amount of time. The more interested buyers competing, the better chance for success. When it's all over and you identify a winning bidder, are you taking advantage of all your work and expense? Are you following-up with the unsuccessful bidders? If not, you need to consider it. The unsuccessful bidders are good leads for you to work. They can provide a back-up if your winning bidder falls through or you may be able to turn them into buyers for another property or future auction. They are buyers who have interest in buying. You already have a relationship because they bid on one of your listings. You have an opportunity and advantage, so make sure they don't slip away without your offer to help. There isn't anything much more exciting than watching an online real estate auction come to an end. Especially if you are the seller or listing agent. You get to see the price continue to increase as buyers bid it out against each other. I captured one of our recent auctions ending with Camtasia and put this video together so you could enjoy it too. We're excited to announce that on December 2, 2008 we started syndicating all of our active real estate auction listings nightly. The listings get sent to 28 different real estate sites and as the bidding changes or the listings end, all sites are updated with that information. Above is a graphic image showing all the sites we syndicate to. The most common question asked by a bidder during a real estate online auction is "What is the reserve price?" In other words, what is the bottom line price you will take? Would you ever tell someone your bottom line price when you're selling a property? If you do, you've just lost all power to negotiate. I'm surprised that about 20% of the seller's using our system disclose their reserve price when asked this question. To me, it doesn't make sense to tell anyone your bottom line price, especially when bidding is open. Instead, I think it's better to respond to that question by inviting them to submit the highest amount they will pay. After all, it's very easy for them to do. Hope that helps next time you're faced with that question. In a sea of homes for sale it can be difficult to get buyers interested in your listings. But what if you did something a little different? Something that very few agents are doing? 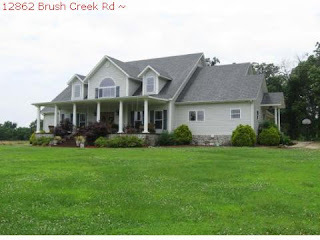 Something that makes your listings stand out, and gets buyers to make the effort to view it? Something that makes it easy for buyers to make an offer and get the conversation started? This something is online bidding a.k.a online auction. Many agents are afraid of the "A" word so to better explain it, I call it online bidding. The concept is simple, market your listings in a manner that attracts attention by starting the price low, but makes it easy for interested buyers to make offers online. This creates excitement and most importantly gets buyers thinking about your listing. Unfortunately, there are a lot of people who don't understand how it works. I can tell you it does and is being used successfully today. In case you're not sure, let me give you the worse case scenario. For 3-4 weeks you attract more attention to a listing than you have for the past 3-4 months. Bidding doesn't reach the sellers minimum price, so what are you left with? A handful of buyers who are willing to negotiate with the seller further. However, even if that doesn't work out, these buyers are looking for homes and many are not represented by agents. Again, that is worst case. If it's done right, there's a good possibility you sell it to the high bidder which will result in a ripple effect of new business for you. Online bidding is a great market strategy and if you know little or nothing about it, you'll find it worth your while to do some research. Talk to agents using it successfully, discover the systems that make it easy for you. Try it out for yourself. Introducing 53 properties in Arkansas up for auction until Nov. 2nd at 11:00 a.m. Executive homes, commercial buildings, building lots and acreage. Lots of great opportunities. Starting at only $5,000. Hurry, only 7 days left! In order to avoid foreclosures, lenders are often willing to discount what is owed on a home. This is known as a short sale and it is offered in situations where the homeowner can no longer afford to stay in their house. The reason lenders are willing to do this is because it can be less expensive than foreclosing and taking the home back. This situation happens a lot and the homeowner is usually told by the lender bring me the best offer you can and we'll see what we can do. What's the best way to get an offer? 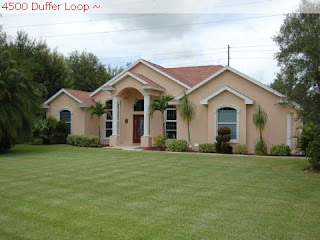 Many agents list the property in the MLS and in their description they indicate it's a short sale situation. Then, they wait. 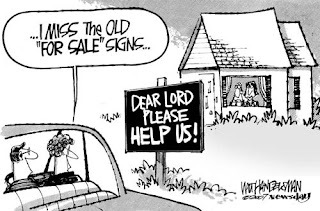 They usually need to lower the price several times before someone finally makes an offer. Many times taking several weeks and even months. This can be a big problem because the lender will not wait very long before they proceed with the foreclosure. Is there a better way? Absolutely! An agent can market a home using online bidding. The process can take as little as 3 weeks and the result is a solid offer backed by statistics of bids and property showings which can be presented to the lender. Real estate agents owe their clients a solid market process to get them the best offer in the least amount of time and online bidding/online real estate auctions do just that. Technology has provided the tool, congratulations to agents taking advantage of it! Tired of waiting for offers? The real estate market can be frustrating at times. Your seller wants offers and they want them now! You know the market is slow and homes are sitting for 6 months and longer. What do you do? 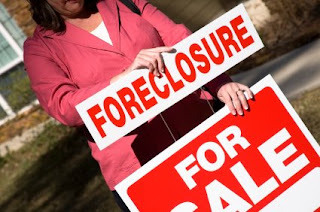 What if your seller is being foreclosed on and their lender is willing to do a short sale? You don't have 6 months. How do you get buyers to make offers to present to the lender? One solution is to use an online auction. They get buyers to take action and they give you an offer to present to the lender or seller, whichever the case. If you haven't used an online auction before, take some time to check them out. It's a valuable solution in a tough market. Online Bidding : Consider the efficiencies! Take a moment to ponder the efficiencies that online bidding can bring to your daily life as an active real estate agent, and ask yourself a few questions. How many active listings do you have? Suppose you got simultaneous calls with prospects wanting to see all of them, right now. How do you do that? Suppose they wanted to make offers on all of them, right now. Again, how do you do that? If a prospect wants to make an offer on one of your listings at 2AM, do you want to take the call? Have you ever talked yourself into, and then right out of a sale? Wouldn't it be better if a prospect could make an offer as soon as they were ready? Are you trying to figure out how to cut down on your gasoline consumption, especially if it goes to $5/gallon or more? 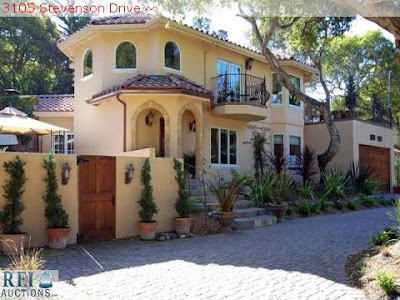 Do you have attractive second-home, upscale vacation, or investor-type listings? Would you believe that such properties can sell sight unseen? Suppose you could eliminate the drudgery of writing up an offer, and a counteroffer, and the phone calls and visits that go with them? 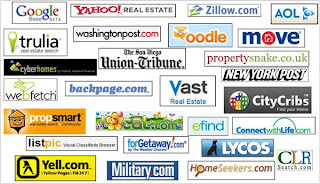 Do you think you could get more listings if you could offer listing prospects online bidding? Could you use another tool to help compete with individual Internet-savvy FSBO's, as well as For-Sale-By-Owner agencies? Could you use an automatic "lead generation" system that attracted worldwide attention to your local listing farm? What will you tell Sellers who expect you to offer online bidding if you don't have it available? Do you think your Sellers might be more impressed with your work if they could monitor the bidding on their property themselves, without calling you? If you could spend more time and effort on marketing, and less on busy work, do you think your commissions would increase? Would you like to increase your number of in-house sales with no commission splits to buyer agents? One of the most important terms is to determine whether the auction will be "absolute" or "with reserve." Absolute means that the property sells to the highest bidder regardless of price. Obviously, this method is extremely risky, and is best left to the professional auctioneers. We recommend that all online real estate auctions be held "with reserve," meaning that the property does not sell unless the reserve price is met or exceeded. Wait a minute - does that mean we are back to guessing at a price in advance? Not necessarily, although both you and your client will likely have at least some idea of a reasonable price range that the property should bring. You can, if you choose, set a reserve price when entering your auction listing into the Auction System. If you do, the display that bidders see will show "Reserve not met" until the reserve price is met or exceeded. At that point, the display changes to "Reserve met" and bidders know from that point forward that the high bidder is going to buy the property. Your listing agreement with the Seller should indicate that the Seller is obligated to sell if the reserve is met or exceeded. However, it is not necessary to establish a reserve price. Your terms can say "subject to confirmation by Seller." This is simply another form of auction with reserve, but avoids having to guess a reserve price in advance. After the online auction closes, both you and the Seller examine the "bid history" and the high bid to decide whether "fair market value" has been achieved. This method of protecting Sellers is the most common form of real estate auctions across the country today. It is used by most professional real estate auctioneers and is accepted by bidders as a necessary protection for Sellers. You will discover that very often Sellers will agree to a sale price that is less than the lowest price they may have previously insisted on. As a licensed Realtor, you can hold successful online auctions. "Live" auctions, however, are strictly the province of the professional auctioneer. It's easy to underestimate the preparation and expense an auctioneer has gone through to get to the point where he can stand in front of a crowd and sell a property in a few minutes. Don't even think about it trying it yourself. Many Realtors, as well as ambitious FSBO's have failed in the attempt, despite spending significant sums on print advertising. Even a pro auctioneer may fail to sell a property at live auction. That alone should be enough to tell you not to attempt it. The alternative you CAN successfully use is the online equivalent. The only real difference is that you won't be bid-calling in front of a live crowd. It all happens online over the Internet. Some might argue that the online version lacks the excitement and intensity of a live auction. We beg to differ. Try bidding for something on eBay that you really want and watch the clock tick down toward zero as the auction nears closing time. See if your pulse rate and breathing go up in the last few minutes while you hope you don't get "sniped" in the last few seconds. When you win, do you feel the adrenaline rush? There's no limit to the number of bidders you may have watching and bidding on your online auction. They don't have to remember to show up on auction day. You'd be surprised at how many calls auctioneers get from bidders who wanted to attend an auction, but forgot the time and date. In fact, they don't even have to watch the close of the auction on the Internet. The system allows them to place a "maximum bid" at any time before the auction closes. In other words, if a bidder decides in advance the highest price he is willing to pay, the system will record that amount, but not display it, and "auto-bid" on behalf of that bidder as other bids come in, always keeping him one bid increment higher than the next highest bid, until his maximum is reached. Bidders don't have to drive to the auction site, nor do they have to stand in line to register. They can remain anonymous because the system doesn't display their true identity to other bidders. They can bid from anywhere in the world, even from a data-capable cell phone. They can place bids anytime, day or night, at their convenience. They will get an immediate email from the system if they are outbid. Take a moment to consider how online bidding solves scheduling conflicts. Most buyers are working the same hours you are - weekdays. How do you effectively communicate and coordinate with them? Online bidding lets buyers act on their own schedule, whenever it suits them, with no need to call you. You should, however, schedule a "preview" of the property and show the time and date on the auction listing. Two hours on a Saturday, say from 10 - 12, is plenty. At least one agent should be on hand to conduct the showing. All prospects see the property at the same time, demonstrating interest, and stimulating bidding. Two agents is even better. One to show, one to explain the bidding process. In a "normal" market, the conventional method of using comparative market analysis to establish a listing price works reasonably well, despite the fact that everyone involved knows that the eventual selling price is typically somewhat less. Getting a property priced right can be a challenge, and how close the Realtor gets it to prospect's "opinion of value" is critical to how long it takes to actually get a sale. No matter how good the Realtor's guess is, it's still a guess. Even a formal, written appraisal is defined as an "opinion of value," a phrase that simply means a guess. Consider the textbook definition of "market value." In simplified form, it is the highest price that a buyer is willing to pay in an open market. What does that remind you of? Of course, an auction. At auction, you don't need to guess at a listing price. You don't need to wonder if you got it too high or too low. The market will determine the eventual selling price, and competitive bidding drives that price upward to "fair market value." Mankind has never developed a better method for setting "fair market value" than competitive bidding. The key concept of any auction is "Sellers set the terms, buyers set the price." Another key concept easy to overlook is the "time value of money." In other words, an accurate CMA assumes the likely "days-on-market" to achieve that anticipated selling price. Is it reasonable to assume that the selling price should be less if there was a way to sell it right away? Sure it is. It costs the Seller money to hold the property. When's the best time to sell in any market, no matter whether it's trending up or down? As soon as possible after the Seller decides to sell! 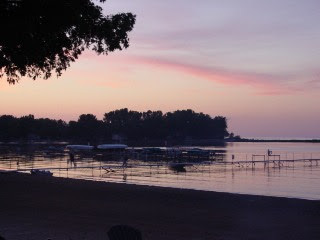 This post written by a member of our team John Bickel - Auctioneer. Not long ago, Realtors wondered why they would want to own and operate an Internet web site. A combination of demanding buyers and forward-thinking Realtors soon changed the way properties were advertised and described. As technology improved, from high-speed Internet access in the home to a host of hardware and software upgrades, real estate listings could be brought to life in a manner that print advertising never achieved, with multiple still photos and streaming video "walk-through" displays. Both the Internet and the technologies that take advantage of it continue to evolve to the benefit of both real estate prospects and the agencies that serve them. Just as the Multi-List system revolutionized the way properties were listed and sold back in the '70's, the concept of online interactive bidding will soon become commonplace. Those agencies who are first to offer online bidding will have a distinct marketing advantage, both for listing presentations, and for increased sales of their own listings, as prospects recognize the value of their use of the latest interactive technology. We believe online bidding will be an integral feature of every real estate agency's web presence in the very near future. Your existing website can be much more than a glorified advertisement - it can actually SELL property. One thing that hasn't changed is the concept of "Location - Location - Location" Real estate is a local activity - best handled by local Realtors. Although the properties are local, buyers could be anywhere on the planet. The Internet is the backbone of global commerce - ignore it at your own risk. Everything else is selling online - As soon as Realtors pick up this tool and use it, so will real estate. List - List - List locally, but sell globally! Statistics show that most prospects begin their search for a new home on the Internet. Online bidding helps to capture those prospects and turn them into buyers. 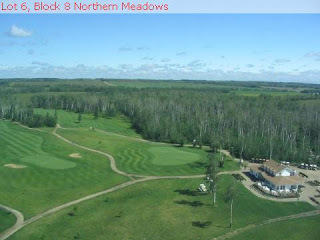 Imagine your existing print ads showing something like a little "gold star" in the corner of each property photo. Somewhere else on the page, there's a note that explains that every photo with a gold star is available right now for online bidding. Can you see how this minor addition would add immediate interest and action to the ads you are already paying for? This is part 3 of 3, but just in case you missed part 1 & 2 here is a little background ... After 14 years of working in the computer industry, I got involved in real estate. I was drawn to the concept of online real estate auctions and I've spent the last 3 years using them. Here are some more answers to common questions about them. This is part 2 of 3, but just in case you missed part 1 here is a little background ... After 14 years of working in the computer industry, I was naturally drawn to the concept of online auctions when I got involved in real estate. I've spent the last 3 years using online real estate auctions and here are some more answers to common questions about them. Q) Aren't auctions just for properties that need a lot of work? A) No, not anymore. I'm starting to see auctions for brand new properties from builders and banks who just need to get rid of them. Owners of any type of property, who are motivated, are turning to auctions for a solution. 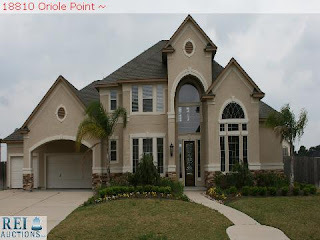 Q) How long does an online real estate auction last? A) Typically about 3 weeks. It depends on your marketing campaign and how many open houses you plan to do. Q) Do I need a special license to do an online auction? A) In every state, you need to be a licensed real estate agent. However, there is no requirement that I've come across that requires a special license. Q) Aren't online auctions just a fad that will go away when the market gets better? A) I don't think so. I think there are more auctions today than ever before because of the current market. However, I also think they provide a solution that is needed in any market, and sellers will find they are an excellent option for a property in high demand too. There are lots of examples on Ebay of a unique item selling for some crazy amount. What owner or real estate agent wouldn't want to watch hungry buyers fight it out online? As technology gets better and better, the excitment of buying at auction is moving online. 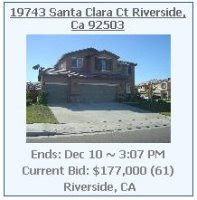 Countdown timers, screen updates with new bids, help keep buyers excited and involved in the bidding process. Not to take away from the skill involved in holding a "live" auction, an Internet auction is sure easier and less expensive to coordinate. The opportunity is now, the tools are available now. It's time to make online bidding a part of your marketing and sales strategies. Real Estate Auctions - Is there a better way! No, there is not a better way to sell than by using an auction. It's interesting that there are still a lot of sellers who are not sure an auction is the best way to sell. What could be better? 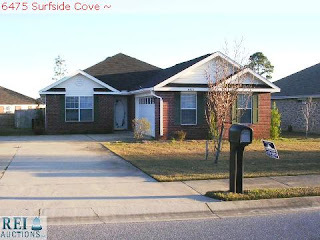 You are marketing for a short period time using a proven method to get buyers interested and inside to view a property. 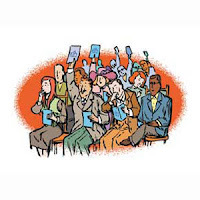 An auctions creates competition by letting buyers bid against each other in an open format. This strategy is simply the best way to determine the value of something. In fact, do you realize that our entire stock market is an auction? An auction isn't something new. It's been tested and proven for centuries. One common concern of sellers is that they will be forced to sell their property at a price that's too low. If handled correctly, that is not the case. The seller is always able to stay in control. Another concern is that an auction may not receive a winning bid and that could hurt the chance for selling. That is simply not true. An auction is not always successful, but they always create interest and lots of leads of interested buyers. More times than not, a deal can be worked after the auction ends. If you have property to sell and aren't using auctions, it's time to get involved and find out for yourself why they are simply the best method to sell a property. Not long ago, most real estate agents didn't use the Internet or e-mail. I can't imagine there are any active real estate agents who don't use it today. We keep hearing that about 90% of all buyers looking for homes start their search online, so if you're not there, you probably won't be in business long. But what's next? Where will technology take us now? It's not hard to see that online bidding and online real estate auctions are the next big change in real estate. Why? It only makes sense. Our society is constantly changing, looking for faster and more efficient ways to do things. Being able to post a property online and take offers 24x7 is the easiest and most efficient way to sell real estate. It's great for the seller who can set a date to sell and the buyer who can compete equally with other buyers. There also isn't a better way to determine the market value. It will be fun in the next few years to see the online auction become the preferred way of selling real estate because everyone benefits. Today's real estate market is filled with uncertainty and that's why so many motivated sellers are gravitating toward auction sales. Auctions have gained huge popularity because sellers want a definitive sale date and time. Depending on the area, the typical time on the market is about six months and with an auction you can speed it up to a four to six week period. There are still many buyers who are unfamiliar with how an auction works, and that's where educated agents can make a big impact. Real estate agents who make the effort to understand an auction and the tools available to them which allow them to offer an auction to their clients will become extremely busy over the next few years. Unlike traditional real estate where you wait for the market to come to you, in an auction you're going after the market and inviting it to the property. And, with the introduction of Internet bidding, more buyers can participate resulting in a higher selling price. Experts in the field predict one in every three homes will be sold by an auction by 2010, is there any reason not to get started today? REALTORS, would you like to have a tool to help sell your own listings, with less effort and maximum exposure at minimum cost? Our marketing consultant in Florida is an auctioneer with 25+ years of experience. 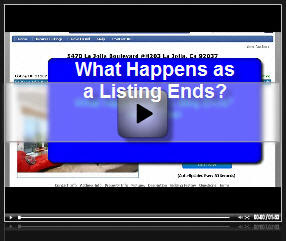 Here is some information he put together for Realtors on using online auctions. I'm still surprised when I talk to someone who is skeptical about using an online auction to sell. Can you think of any other method that can draw as much attention and is easy to do? I can't. I ran across a quote today that sums it all up... "Auction means Action". No matter what the end result, even if you don't sell, buyers will contact you, buyers will view your property and many buyers will place offers (bids) because it's easy. 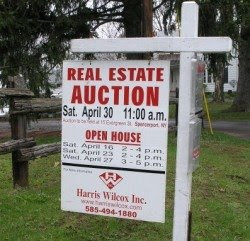 Online Real Estate auctions are the next big thing to hit real estate, are you ready? I just read an article in the Wall Street Journal which said that while the real estate market sales have been going down, auction sales are increasing. In fact, according to the National Association of Auctioneers, the real-estate auction market climbed 5.3% in 2007, generating $58.4 billion. The article also mentioned that more real estate agents than ever before are signing up for training on doing auctions. I believe what makes this even better is that the Internet is the "glue" that brings this all together. A real estate agent can now hold an online bidding auction without the need take "live" bids. Simplifying the coordination, and increasing the number of buyers that can participate. There is no doubt this is changing this technology is changing the way real estate is bought and sold. 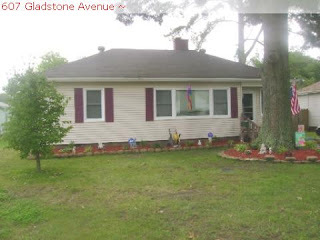 I love marketing properties through online auctions. It's a great way to grab attention and it's fun to watch the bids come in online. However, it's also important that buyers ALWAYS do their due dilligence. There are great deals to be found through an auction, but there are also not so great deals. Buyer Beware! Real estate Internet auctions make it pretty easy to bid, but most buyers don't realize that price is only part of the equation. Buyers MUST also understand the terms. Terms will spell out the conditions of the purchase. 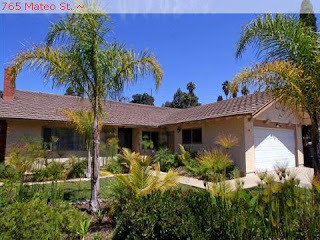 Some example of terms are: "as-is" all inspections required before auction ends, closing in 30 days, amount of escrow deposit, add-on fees such as buyers premium, etc. There are definitely many great deals to find at auction, just make sure you read and understand the terms before you place your bid. JMZ Homes has generously donated one of their homes and put it up for auction to benefit 3-year-old Sammy Lynn who is fighting Luekemia. This example of giving and love go a long way in bringing a community together. Another example of a great use for an online auction. 1 in 3 homes sold by auction by 2010? I just read an article about the Denver real estate market and how auctions are becoming popular for retail properties. Traditionally, auctions have been used as a "fire-sale" to move properties at a discount. That is changing. Now auctions are becoming a successful way to move a retail property as well. The advantage is that an auction makes a property stand out, which is especially important in today's market. Not only that, but auctions won't disappear when the market picks up again. They are an even better strategy in a hot market because there is no limit on the price someone will pay. I think we'll see a big change in how real estate is bought and sold in the U.S. in then next couple of years. As it's being predicated now, 1 in 3 properties will be sold using that method. It just makes sense. Sold to the highest bidder - definitely! I just read an article where they are proposing a new real estate auction law in Australia which guarantees the property will be sold to the highest bidder. This law is being proposed because there have been a few instances of negotiations continuing after the gavel falls. It will be interesting to see how this plays out. In the meantime, it's interesting to think how this will effect the online world. Is the winning bid a binding contract? What if the seller takes a higher offer after the auction ends? As homes sit on the market and sellers become anxious for solutions, online auctions are gaining in popularity. An online auction gives a real estate agent or homeowner a marketing strategy that works in attracting attention. Whether or not the property sells will depend on how well the auction marketing is done and whether it is being offered at a good price. In today's market, there is a need for the ability to get a property to stand out and get noticed. An online auction provides that opportunity. It's no surprise that online real estate auctions are growing fast. Sellers and real estate agents are struggling to get their properties noticed. It s not surprising that more sellers are turning to creative ways to market their properties. One such creative strategy nowadays is online real estate auctions have become more popular than traditional real estate auctions. Online real estate auctions can certainly help you locate a great property, particularly in an area far from where you live. It helps a property stand out and that s the goal in any marketing strategy. 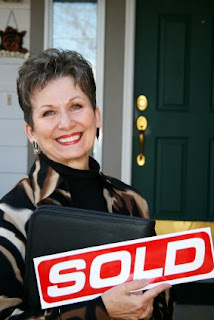 Another reason for Online Real Estate Auctions popularity is that it s easier to bid than to write up a sales contract. All negotiation is automated and done online. Online Real Estate Auctions have many advantages they provide a great platform for you to sell your property. 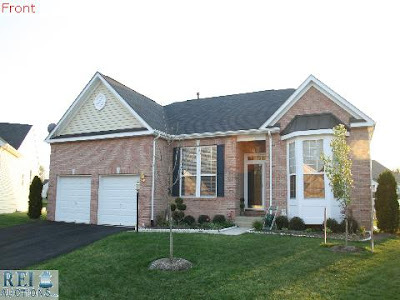 It minimizes the hassles of prospects visiting the house frequently at untimely hours as well as attracts only qualified buyers who are actually looking to buy a property. They get a better price for the property owner with minimal effort as they attract buyers from across the world. You decide the date and time of auction. The prospects can look at the details of the real estate like photographs etc. and can participate in the auction. 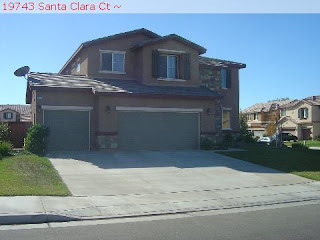 Other option for purchasing real estate online is through bank auctions. Bank auctions are usually on foreclosed properties and can give you the opportunity to purchase real estate at a dramatically reduced price. A live auction is still a great way to sell, an online auction is much easier to coordinate and less expensive, however, you have to be very careful and do your research before bidding on a property and definitely before executing a contract. A property you have never seen could be a potential nightmare, and there are several reasons for this. If you re considering buying a property you can't visit, it may be worth hiring someone in the local area, who's familiar with real estate to check it out for you. Your representative needs to make sure the property is accessible, check the record of any leans, foreclosures, or title problems. 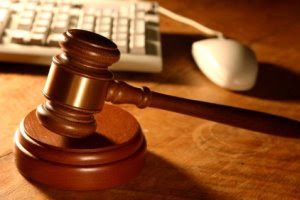 Online real estate auctions are not legally binding. A real estate transaction must be formally executed under the laws of the state where the property is located. An online auction can hook a buyer up with a seller, but they must still get together and work out a contract before the sale is final. Be sure to use a reputable and well-known auction site. Before bidding in a real estate auction, read the auction site s Terms of Service and any additional information they may have about real estate “auctions” on their site. This information can usually be found in the help or rules sections of the sites. 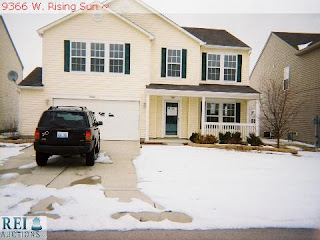 Finally, whether you have a property and are looking to sell of the property, but were scared about the hassles involved in it, or looking for a real estate to buy especially if you are seeking a real estate in an area far from where you live, Online Real Estate Auctions are the way out for you. 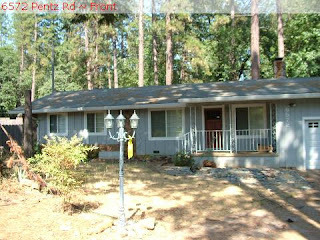 I came across this interesting article regarding the Bend, Oregon real estate market. Auctions are becoming an increasingly popular method of purchasing homes in today's sluggish marketplace. This immediate-sale technique is very appealing at a time when selling homes the conventional way is slow and the number of inventoried homes is at a record high level. The auctioning of real properties is the fastest growing auction specialty, according to the National Auctioneers Association. Over the past five years, residential real estate sold at auctions grew by 39 percent, while commercial and industrial real estate auctions rose 27 percent. It wasn't long ago that residential real estate auctions were only used to sell foreclosed homes, fixer-uppers and other hard-to-sell properties. Today, all types of properties are sold at auctions, from small fixer-uppers to large luxury homes. Many newly constructed homes are now being auctioned, including single-family residences, condos and townhomes. "There are many benefits to buying a home at auction," said Realtor Val Gehringer. "Homeowners are committed to selling so there aren't long negotiation periods, and buyers can often close on their new home in fewer than 30 days. Auctions also attract qualified buyers since most auction houses require that potential buyers have financing in place and present written loan approval before the day of the auction. And they usually require nonrefundable deposits, typically 10 percent of the home's value." There are three primary types of real property auctions. The absolute auction is where the property is sold to the highest bidder regardless of the price. The minimum bid auction is where bids are accepted at or above an advertised minimum price. The reserve auction is where the seller has the right to accept or reject any offer that falls below a confidential reserve price. Prospective buyers usually have ample opportunity to inspect the property by appointment or at an open house prior to the auction. Typically, the auctioning of a home takes less than 10 minutes. How's that for speedy marketing? Most serious bidders hold off for a few minutes before bidding, waiting to see what others bid. If you or your broker are interested in auctioning your home, take time to attend several auctions first to learn about the process and what it takes to produce a successful auction. I'm located in St. Louis and very interested to see how this auction on Saturday turns out. 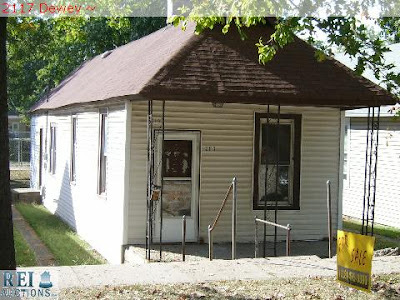 Auctions are still new in many areas, St. Louis included. Like so many others trying to sell their house, Ann Auer, is finding this a frustrating time. Her four-bedroom, two-car garage house in south St. Louis has been listed for $189,000 since July with no takers. She and her husband have already moved and are maintaining two houses. That makes them "motivated sellers," Auer said. Now Auer is trying something unconventional to get her house sold: a real estate auction. "The market is so stagnant. I thought this (an auction) was an unusual marketing tactic and worth giving a shot," Auer said. Auer is one of almost 50 sellers hoping that an auction will help get their house sold, or at least generate some interest from potential buyers who otherwise seem to be sitting on the sidelines. Phil Hunt and Sonny Brockman, agents with Prudential Advantage Realtors in Webster Groves and co-owners of St. Louis Auction, are organizing the auction to be held Saturday morning. Whether it's a sign of desperation or inspiration remains to be seen. Auctions are a creative alternative in a slow market, Hunt said." We are not getting enough showings and contracts. We need to do something different to encourage buyers to buy and sellers to negotiate," Hunt said. "Auctions are one of the oldest and most proven methods (to sell something). "Auctions — for everything from livestock to art — are not a new phenomenon. And they were fairly common for houses a few years ago in hot markets like Florida and California. They are generally used to create competition among buyers and obtain a better price for the seller. But house auctions are unusual in the St. Louis area except for foreclosed properties. Some local real estate professionals are skeptical that auctions will work, especially in a slow market. "There is just so much property out there right now. I think you would have a much better chance if you get your house in the best condition inside and out and price it competitively, maybe even a little under everyone in the neighborhood," said Jane Nuckolls, an agent with the St. Louis office of Coldwell Banker Gundaker. John Williams, owner of Missouri Online Real Estate based in Chesterfield, has a different perspective. 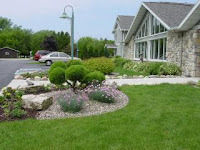 The purpose of an auction, he said, is to create a "buying mind-set and environment. "Truth is, there are properties sitting around that should sell but people are waiting for them to get cheaper," Williams said. "If someone is interested in a property and is faced with possibly losing that property to another buyer in an auction, it might encourage them to buy." About 35 buyers have pre-registered for the auction and, Hunt said, he has received another 100 or so phone calls. All the registered buyers must be pre-approved by a lender, he said, and there will be a lender on site for last-minute registrants. The auction houses range from $40,000 to $1.2 million and none is involved in a foreclosure, Hunt said. All the properties are listed in the Realtors' regional house listing service, giving buyers the chance to look at them prior to the auction. Sellers pay a $100 fee to include their house in the auction and another $400 if the house sells, Brockman said. There is no fee for buyers. There is no minimum bid, but if the highest bid is unacceptable, the seller has the right to refuse a deal, Hunt said. Tim Meyer, manager of the St. Louis office of Coldwell Banker Gundaker, sees that as a potential pitfall. "Buyers come to an auction expecting a deal," Meyer said. "I went to an auction recently that had about 25 attendees and the auctioneer was still unable to obtain a minimum price bid." Putting a house on auction may convey desperation to the buyers, Nuckolls said, making them much more likely to bid low. "And if they don't get what they see as a good deal, they will walk," Nuckolls said. "I would never put one of my sellers' properties on auction." Brockman and Hunt aren't setting their sights too high. Before organizing the auction, they spoke with other companies around the country that have conducted the auctions. She will consider the auction successful if 20 percent of the properties are sold, Brockman said. As for Auer, she considers the $100 an investment and the auction as another shot at attracting buyers. The auction sign in her front yard attracted six people to view the property at an open house, Auer said. "I hadn't had that many showings at an open house in months," she said. "I don't know if the house will sell because this is a new tactic here in St. Louis. But to me it is another marketing tool." This article is a good indication of how the real estate market is changing. I'm still convinced an online auction is the way to go, because they require less effort and the bidders can be located anywhere, but live auctions work as well. DENVER – The tough housing market has some home sellers going to auctioneering school to develop a fast way to move properties. Ask Shelly St. John of Denver if she ever expected to be practicing the rapid-fire verbal pacing of an auctioneer and she would have laughed. "Never in a million years," she said. "Never." Friday afternoon, she participated in the Bid Calling Boot Camp at the Colorado Auctioneers Association Convention at the Four Points Sheraton in Denver. She practiced her diction, delivery and crowd-interaction style. St. John is not alone. According to the National Association of Auctioneers, real estate is the fastest-growing segment of the auction business. Residential property auctions accounted for $16 billion in sales in 2006. "As the real estate market has changed, traditional agents are coming to the auction people to look for different ways to move properties because the traditional method is becoming very slow," said Walt Partridge, president of the Colorado Auctioneers Association. Sellers worried about their homes sitting on the market for a year or more are asking auctioneers to move them faster, according to Partridge. He says the average time from listing to closing on a residential property auction is 60 to 90 days. The galloping cadence of the auctioneer doesn't sound like traditional real estate sales. That's what St. John thought until she decided to give it a try. Now she's sold. Can 2008 be as dismal as 2007 for residential real estate market? Real estate has perhaps been one of the gloomiest sectors this year: The industry has faced declining prices, increased foreclosure rates and homes that sit with "For Sale" signs staked into their front lawns for months without even a look. Statistics show a continued gradual decline over the past year: Sales from August 2006 to August 2007 dropped by more than 6 percent in Worcester County, according to The Warren Group. Similarly, median house prices fell by more than 4 percent, from $261,700 to $250,000, during the same period. Those in the industry lament there's more misfortune to be had in 2008, as prices haven't quite bottomed out. But at the same time, there will be some positives. The market will be ripe for qualified buyers, and sellers willing to improvise can continue to take advantage of crafty options. One of those includes "auction-by-choice," in which sellers willingly put their homes up for bid. Already, it's a rapidly growing alternative. Mark Shear, president of Berman Auctioneers & Appraisers in Worcester, noted that he had more calls in the last year for by-choice sales than he had in the previous 17 years combined. He estimated that foreclosure auctions and by-choice auctions will comprise about 30 percent of the industry next year. "We know there's going to be a surge" in 2008, he said. "The numbers are strong." The fact that by-choice auctions are increasing is promising, Shear said, as the market is about adjusting and experimenting. In line with that, he also sees an increase in electronic methods, such as Internet-based sales and online auctions, in the coming year. Like foreclosure auctions, by-choice auctions are often done on the front lawn. Unlike the latter, however, bidders are provided with much more information about the house - such as recent upgrades, installations or remodeling work - that help net better bids, Shear said. And sellers at the very least get the fair market value - and sometimes more than that, due to "supply and demand" as the auction process ratchets up, Shear said. Besides price, though, sellers are increasingly drawn to the method because it's date specific, so it's easier to plan for than a regular home sale. Shear stressed, however, that the process is most successful with desirable properties that haven't been listed anywhere else. It's also helpful when sellers maintain a realistic expectation of the current value of their property. But some sellers just aren't willing to budge on that front, and many are deciding to ditch their plans altogether and go with another option - remodeling. At G.M. Bergeron Custom Builders in Worcester, home remodeling grew by 20 percent this year, according to general manager Wade Bergeron. He expects that trend to continue in 2008, as more and more people get frustrated with their homes staying on the market for months on end. Although remodeling can help move a home when it's in bad structural shape, Bergeron noted that many sellers and potential sellers are doing it because they ultimately decide to say put. "They don't want to discount their house by $50,000 or $75,000," said Bergeron. He noted that a remodel is cheaper or at least equivalent to what a buyer would have spent on a new home. But as much as remodels and auctions-by-choice have helped boost the market, industry experts say there's still about six months of downward adjustment to go. Bergeron sees at least another 5 percent downgrade, he said. Then, he predicts, sales will "bounce along the bottom" for between two and four years before another bout of heavy growth and price appreciation. Along with that, we're likely to see increased foreclosure rates that will continue to do "lots of financial damage" in 2008, according to Jeff Hall, vice president of the Worcester Regional Association of Realtors and a Worcester-based RE/MAX agent. "It's going to take us another couple of years to turn it around," he said. Taryn Plumb is a freelance writer based in Worcester. Here is another interesting article on real estate auctions. Financial institutions seeking to sell a growing number of foreclosed properties in the wake of the subprime mortgage meltdown are increasingly turning to auction houses as an alternative avenue for real estate marketing. The Memphis metropolitan area has one of the highest foreclosure rates among the nation's MSAs. With 6,239 foreclosure filings recorded during the third quarter, up 38.6% compared to the same period in 2006, Memphis is ranked No. 14 in the nation, according to RealtyTrac, Inc. Tennessee has the 12th highest foreclosure rate among the states, with 12,198 filings in the third quarter. Overall, foreclosures more than doubled in the U.S. during the third quarter this year to reach 635,159. The mounting properties under foreclosure leave many financial institutions with real estate properties they wish to dispose of. "There are an awful lot of foreclosures in the area," says Jody Hopkins, vice president of finance and administration for Roebuck Auctions. "Lenders own deeds to properties and as a result there's a tremendous influx of lending institutions that opt for auctions thanks to their speed and sense of urgency." Professional live auctions, which involve a bidding process, are not to be confused with foreclosure auctions held on courthouse steps. Foreclosure auctions were held recently in Memphis for Matthews Brothers Builders LLC properties foreclosed by Paragon National Bank and other financial institutions. Such auctions may or may not result in a sale. They may result in handing the title over to the bank, which is then the new owner of the property. Traditionally, banks have assigned the marketing of their real estate to a real estate broker. Now, many lending institutions find themselves owning many unwanted real estate properties, for which they need to carry insurance and other costs. With home sales being soft -- Memphis Area Association of Realtors reports year-to-date sales fell 13.8% from the same period last year -- they are looking for a quicker way to sell their newly acquired homes, which are considered non-performing assets. "The sooner they can turn them into cash the better," Hopkins says. In recent months, professional auctioneers have seen a flow of residential real estate auctions done on behalf of banks. Hopkins says last year 5% of the firm's business came from banks; this year the share has grown to 10%-15% and the rate "will go higher if the trend continues." Jeff Morris, owner of Morris Auction Group, says a growing number of properties are coming in to his auction house from banks. "Holding a piece of property can be costly over time," he says. "Time is their enemy." The typical turnaround time for an auction sale is four to five weeks, he says. After several weeks of advertising the auction in multiple media, the property sells on a set date and closes 30 days later. "Now, with so much on the market, they're much more eager to clean up their portfolios," Hopkins says. "They know the property will sell on a certain date." Bob Byrd, founder and chairman of the Bank of Bartlett, says the financial institution uses auctions to sell off foreclosed properties in addition to traditional avenues such as Realtors. "With the decline of the market, more foreclosures and liquidations have occurred," he says. "An auction is a viable strategy." Nationally, residential real estate auctions are the fastest-growing segment of the auction industry. From 2003 to 2006, residential real estate auctions grew 39.2%, according to a study by the National Auctioneers Association. In 2006, auctioneers sold $16 billion worth of homes, up 12.5% over 2005. Hopkins says some banks bundle several properties and put them on the auction block at the same time, accepting bids for all of them from a group of qualified bidders on the same day. Morris believes the trend will continue "whether the market is good or bad." And, the expedited process can benefit homeowners before their house is foreclosed. "We'd like to see people coming to us before the foreclosure, so we can sell their house and save their credit," he says. "Sell now; don't prolong the inevitable." Homes for sale through online auctions are becoming the next big thing. More people everyday are becoming comfortable buying things online and giants such as eBay are advancing the idea of online auctions. In the current market, real estate agents and homeowners are looking for other solutions to get properties noticed and sold faster. An online auction is a great option. If you have a house for sale right now, one of the biggest challanges is getting noticed. There are so many other houses for sale you need to do something differently to stand out. While there are several strategies you can try, I think an online auction is one of the best. It will give you the opportunity to focus your marketing for a 2-3 week period, advertise a low starting bid and get potential buyers into your house. Technology has made auctions easier and more affordable than ever before and sellers and buyers both benefit. Auctions good for short sales? As lenders become more desperate to avoid the growing number of foreclosures, I see another good use of auctions. Typically a homeowner facing foreclosure contracts with a real estate agent to sell their home. If the homeowner has equity, they have a better chance to sell fast by giving a discount. However, if they don't have equity they are forced to try and sell their house at or above market value so they can pay closing and agent fees. 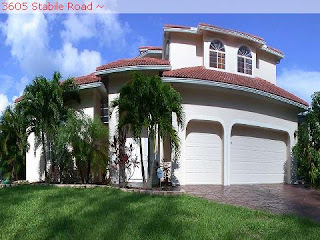 This leaves them in a tough situation which usually ends in foreclosure. Fortunately, some lenders will consider a "short sale". A "short sale" is when the lender agrees to take less than what is owed so they don't have to go through the foreclosure process and take the house back. Lenders do this because they do not want to own property. 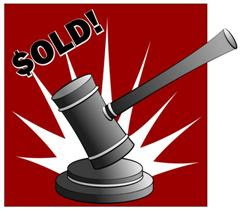 If a lender is willing to consider a "short sale", it would be a great use of an auction. 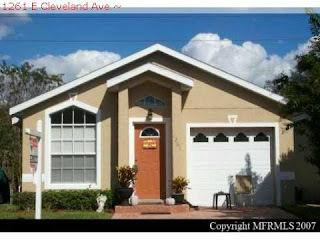 You can market the property through an auction for 2-3 weeks and make the high bid subject to lenders final approval. 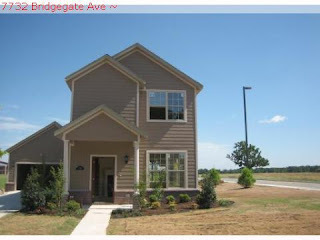 Then you can take the high bid and present it as an offer to the lender. When you present it you would also explain how you marketed the property. You could provide stats such as number of people who visited the property, number of bids, number of people bidding, etc. I think most lenders would seriously consider accepting an offer presented in this way. In most areas of the country, it’s a great time to be a buyer. There are lots of properties to choose from and lots of great deals available. But what if you need to sell? Homeowners and real estate agents are struggling to get their properties noticed and sold. It’s not surprising that now more than ever, sellers are turning to other creative strategies to market their properties. One such creative strategy is an online auction. While live auctions have been successful for centuries, the rapid growth of online auctions is relatively new. This recent growth is the result of a slowing real estate market, advancing technology and our acceptance of buying online. Online auctions are becoming an easier and inexpensive alternative. They still require preparation, marketing and effort, but a growing number of online auction sites provide additional tools and resources to make the process easier. Here are the basics of how an online auction works. The homeowner or listing agent gathers all the property details and takes pictures just as they would for any other listing. They select the online auction system they will use, the dates of their auction (usually 2-3 weeks), and the terms of their auction. They plan their marketing, decide on their hidden reserve (minimum price) and determine their starting bid. When everything is in place they create and activate their online auction, do some marketing, open houses and then watch the bids roll in. When the auction ends, the highest bidder who has met or exceeded the reserve price is the winner. One thing to keep in mind is that an online auction is not binding. Therefore, it is important that the seller, buyer and agents (if any) get together shortly after it ends to sign the paperwork and collect escrow monies. That’s all there is to it. It definitely requires effort and the right pricing in order to be successful, but it’s a great option to have when you need to sell quickly.